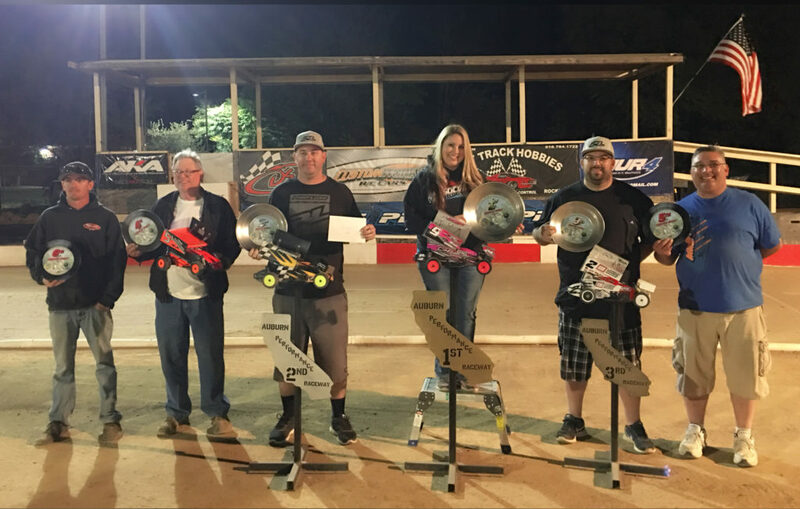 Lathrop wins the Triple Crown Dirt Oval Series – Tekin – Smaller, Smarter, Faster! Tekin team driver Jennifer Lathrop would travel up to the Auburn Performance Raceway where the final round of the Triple Crown series was held. In the final round Jen would take 3rd place in the Mod Sprint division giving her the overall title! Jen was running a brand new C4 chassis powered by a Tekin RSX and Redline Gen3 8.5T motor. Jen also managed be in second place during the SC Mod division race only to drop out with a mechanical failure. P2 would have given Jen another overall title but she’d have to settle for 2nd place overall even with the DNF. 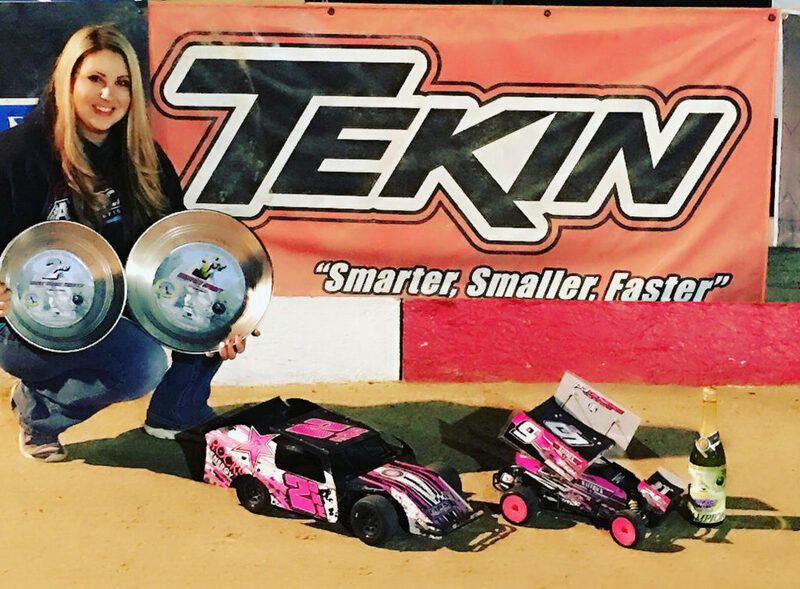 Jen again chose the Tekin RSX and Redline Motor series to power her to another podium result.